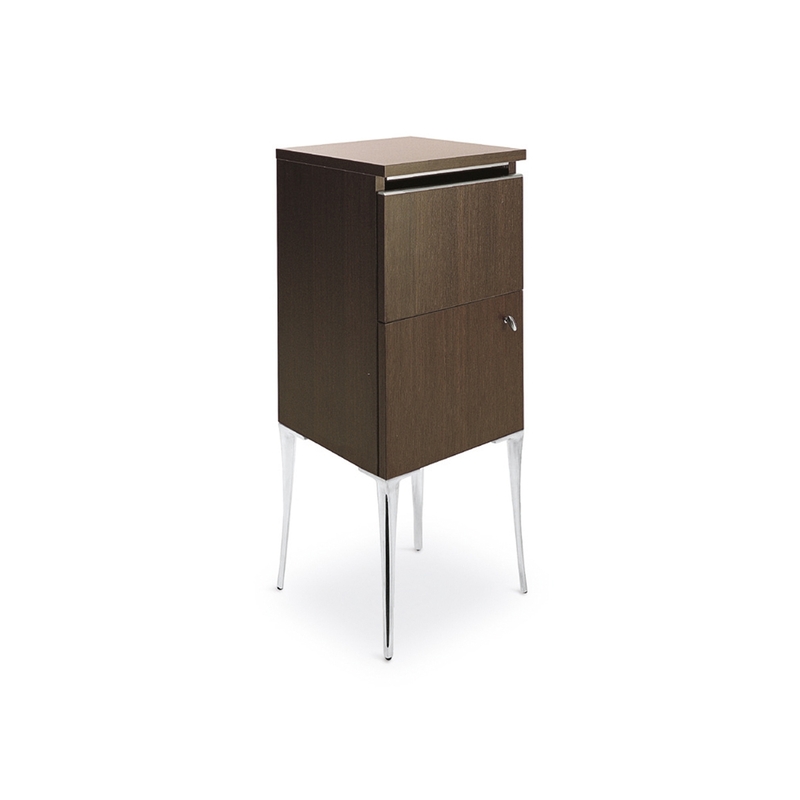 Cabinet with structure in pre-laminated finish. With hairdryer holder and door. Feet in polished aluminum. Made in Italy.